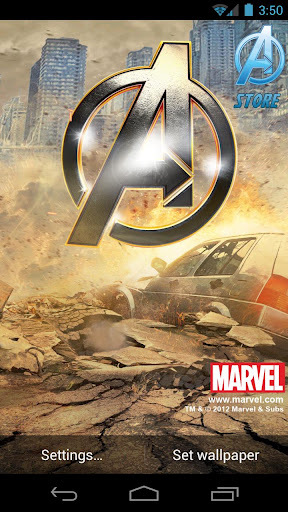 If you are an Avengers fan living in the U.S. you are undoubtedly getting ready for The Avengers movie which is set to open in theaters on May 4th. What better way to celebrate the release of the film by adorning your favorite tech with some Avengers wallpapers. While we have a great selection of wallpapers for your various devices, nothing will be more appealing than the following Avengers Live Wallpaper for your Android device. 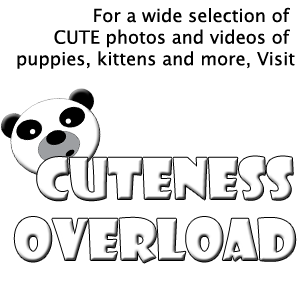 You can download the wallpaper for free from the Google Play Store. Unlocking the characters on the wallpaper will require you to pay an extra 99 cents. 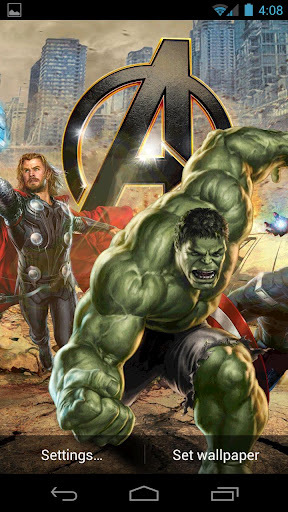 Check out some of the screen-shots of the Avengers Live wallpaper for Android. 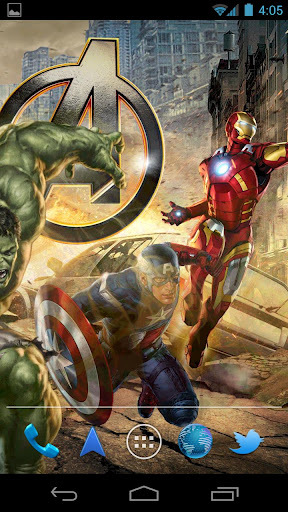 The Avengers Movie started recently started its worldwide launch after several years of anticipation. It seams that the movie is doing pretty well having earned $178.4 million following its launch in Mexico, Argentina, Brazil, Peru, Ecudor, Central America, Bolivia, Hong Kong, Taiwan, New Zealand and The Philippines. 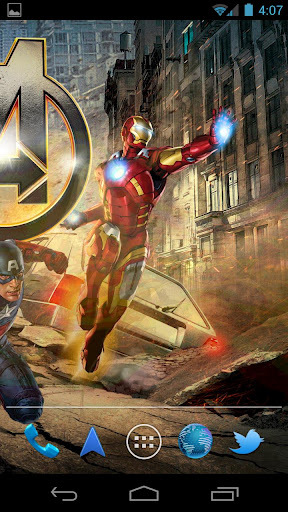 As we impatiently count down toward the movie reaching the U.S. we will have the Avengers live wallpaper to keep us happy. 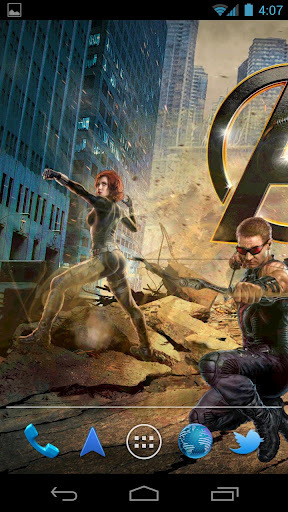 For information on obtaining tickets and more information on The Avengers movie head over to our sister site Movie Lounge.